James Robert Smith | Helton Creek Falls: Hemlock holocaust. Helton Creek Falls: Hemlock holocaust. 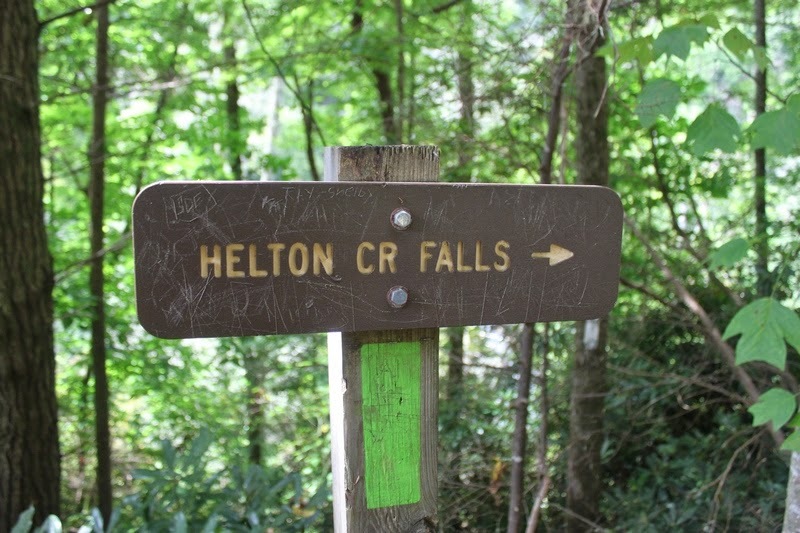 Somehow I had managed to never see Helton Creek Falls during the years when I lived in the north Georgia mountains. It’s a spectacular waterfall and I’m glad I finally got to see it. But I had mixed emotions viewing this very beautiful spot. As I climbed down into the gorge the first thing that hit me was that I was walking in bright, direct sunlight when I should have been walking under a forest canopy. 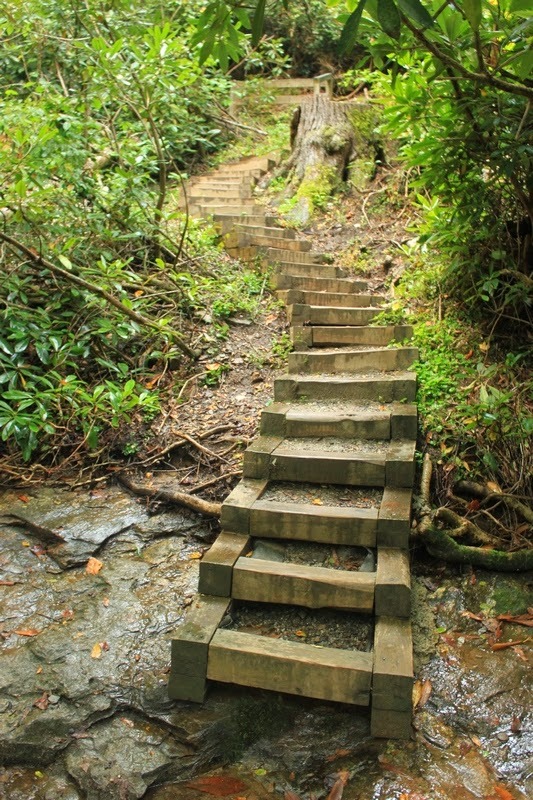 Looking all around–in every direction–I realized that this very steep and rugged gorge had housed a luxurious and probably old growth forest of hemlock trees. 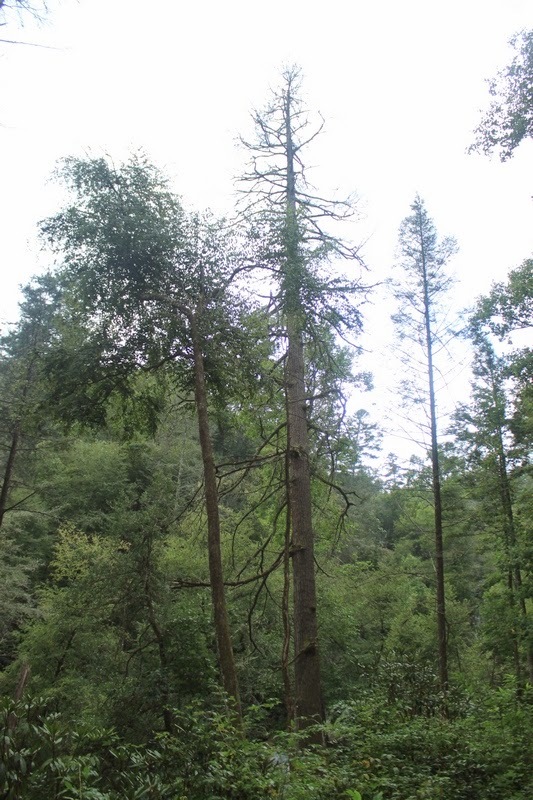 And, of course, if you’ve been following this blog for very long you will know what has become of our native hemlock trees. This particular location was especially distressing. There was not a living hemlock there of any consequential size. I could see large hemlocks lying dead just about everywhere I cast my gaze. All victims of the invasive pest, the Hemlock wooly adelgid. Since this spot is a very popular location for tourists to visit, the Forest Service has come in and felled most of the dead hemlocks. On the far side of the creek and well away from the falls there are some very big old hemlocks still standing, but very dead and all the more depressing for their size and stature. If only the people who control the purse strings had decided that saving places like this was more important than the things upon which they squander our national treasure. The sign at the parking lot. Some of the grand old giants are still standing. Dead, of course, but standing. My first view of the falls as I hiked down the trail. 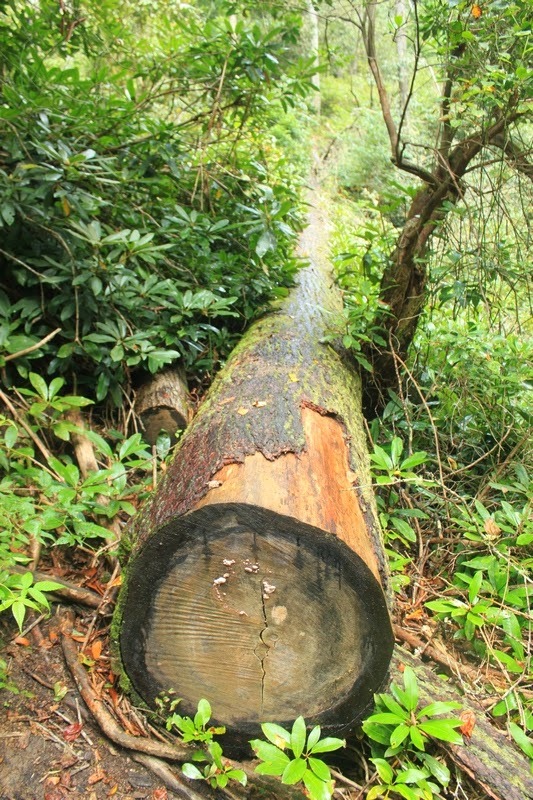 The Forest Service has had to go in and clear the dead trees nearest the trails to keep them from falling on visitors. When I first got to the falls, I thought that this was the whole lot. Until I noticed the trail leading up and followed it. 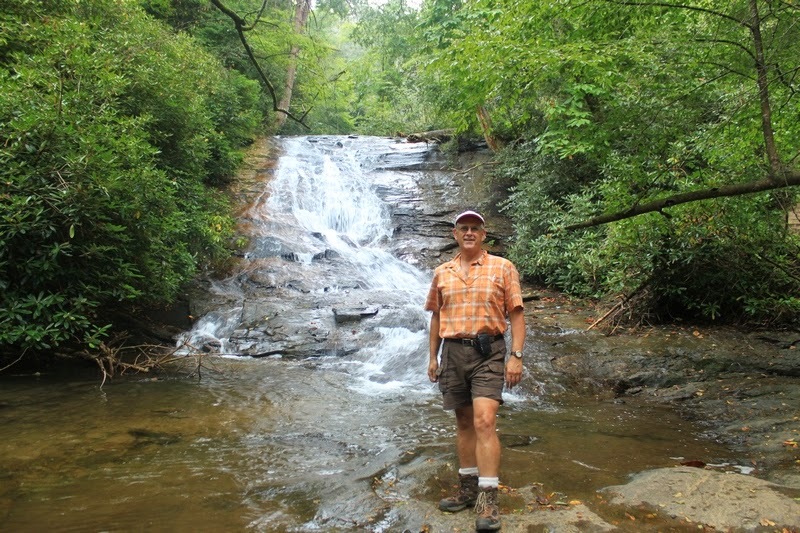 The lower section of Helton Creek Falls. There’s some very nice infrastructure at the falls. 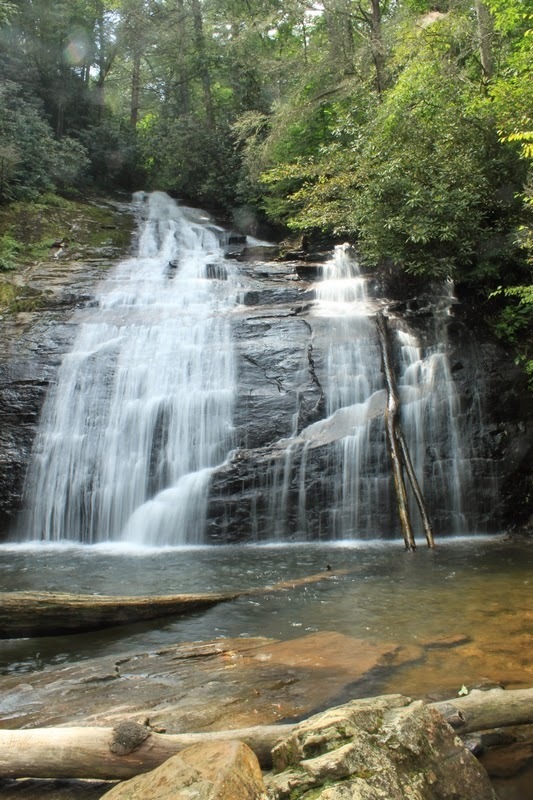 This falls has a great plunge pool for swimming! 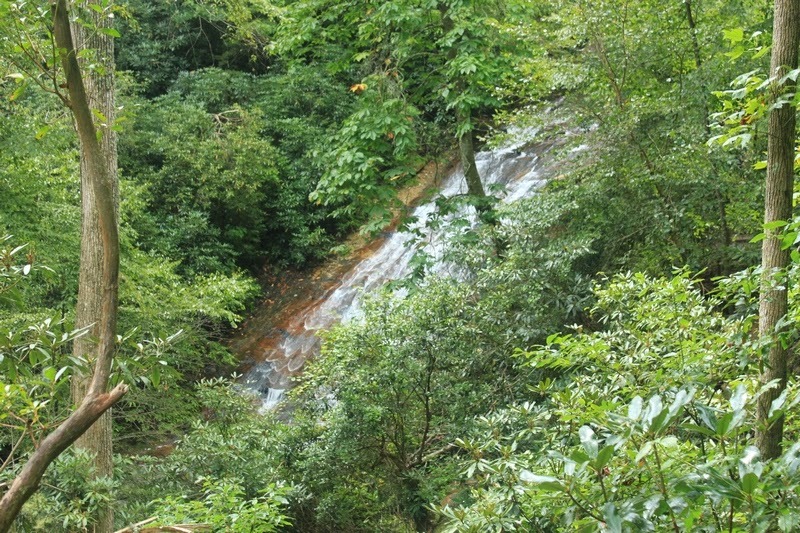 The upper section of the falls.